Massachusetts Senator Charles Sumner presented his ideas of “state suicide” in resolutions he presented to Congress in February 1862. According to biographer Moorfield Storey, Sumner said that “Congress must provide for the termination of slavery in fact throughout the whole seceded territory; that as allegiance to the government and protection by it are corresponding obligations, the slaves were entitled to its protection; and that congress must ‘assume complete jurisdiction’ of the ‘vacated territory,’ and proceed to establish therein governments republican in form with due regard to the qual rights of all the inhabitants.” Storey noted: “Upon Sumner’s motion the resolutions were laid upon the table, and were never taken up.”1 Sumner’s ideas of reconstruction were far more rigid and extreme than those of even his fellow Radical Republicans. What they shared was a belief that Congress, not the President, should control the reconstruction process. While Wade was working on his reconstruction plan in the Senate, Congressman Henry Winter Davis took the lead in managing legislation in the House. Historian Don C. Seitz wrote: “The Davis committee, on February 15, 1864, produced a plan of its own, with the premise, devised by Davis, that the seceding States were outside the Union and were to be dealt with de novo. This was reversing Lincoln’s view. The House did not accept it formally, but proceeded as if it were the underlying fact. 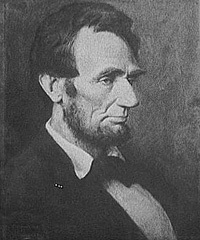 By resolution, all that Lincoln had authorized in the way of reconstructing the shattered governments was deliberately set aside; it required that a census be taken and that a majority of the whites must take the oath before further procedure, pending which the status of the State would be that of a conquered province.”8 While the House acted by the end of March 1864, it took longer for the Senate to handle the legislation and it did not complete its work on the Wade-Davis until the end of the session in early July. As in the case of emancipation, Mr. Lincoln was determined not to yield his constitutional authority to Radical Republicans in Congress. Historian Benjamin Thomas wrote: “Lincoln had never swerved from the conviction that Congress had no power over slavery in the states, and that he as President could never have interfered with it except as a necessity of war.”9 When he pocket-vetoed the Wade-Davis legislation, he acted on that principle and activated his Radical Republican opponents once again. The issue died during the fall presidential campaign as all Republicans concentrated on beating back the threat of Democrat George B. McClellan, whose views were more of an anathema than those of the President. As to peace, I have said before, and now repeat, that three things are indispensable. 2. No receding by the Executive of the United States on the slavery question, from the position assumed thereon, in the late Annual Message to Congress, and in preceding documents. 3. No cessation of hostilities short of an end of the war, and the disbanding of all force hostile to the government. That all propositions coming from those now in hostility to the government; and not inconsistent with the foregoing, will be respectfully considered, and passed upon in a spirit of sincere liberality. I now add that it seems useless for me to be more specific with those who will not say they are ready for the indispensable terms, even on conditions to be named by themselves. If there be any who are ready for those indispensable terms, on any conditions whatever, let them say so, and state their conditions, so that such conditions can be distinctly known, and considered. It is further added that the remission of confiscations being within the executive power, if the war be now further persisted in, by those opposing the government, the making of confiscated property at the least to bear the additional cost, will be insisted on; but that confiscations (except in cases of third party intervening interests) will be remitted to the people of any State which shall now promptly, and in good faith, withdraw it’s [sic] troops and other support, from further resistance to the government. Mr. Lincoln addressed the nation’s reconstruction succinctly in his final public address on April 11- days after the surrender of the Confederates at Appomattox and days before his own murder. By these recent successes the re-inauguration of the national authority – reconstruction – which has had a large share of thought from the first, is pressed much more closely upon our attention. It is fraught with great difficulty. Unlike the case of a war between independent nations, there is no authorized organ for us to treat with. No one man has authority to give up the rebellion for any other man. We simply must begin with, and mould from, disorganized and discordant elements. Nor is it a small additional embarrassment that we, the loyal people, differ among ourselves as to the mode, manner, and means of reconstruction. As a general rule, I abstain from reading the reports of attacks upon myself, wishing not to be provoked by that to which I can not properly offer an answer. In spite of this precaution, however, it comes to my knowledge that I am much censured for supposed agency in setting up, and seeking to sustain, the new State Government of Louisiana. In this I have done just so much as, and no more than, the public knows. In the Annual Message of Dec. 1863 and accompanying Proclamation, I presented a plan of re-construction (as the phrase goes) which, I promised, if adopted by any State, should be acceptable to, and sustained by, the Executive government of the nation. I distinctly stated that this was not only the plan which might possible be acceptable; and I also distinctly protested that the Executive claimed no right to say when, or whether members should be admitted to seats in Congress from such States. This plan was, in advance, submitted to the then Cabinet, and distinctly approved by every member of it. One of them suggested that I should then, and in that connection, apply the Emancipation Proclamation to the theretofore excepted parts of Virginia and Louisiana; that I should drop the suggestion about apprenticeship for free-people, and I should omit the protest against my own power, in regard to the admission of members to Congress; but even he approved every part and parcel of the plan which has since been employed or touched by the action of Louisiana. The new constitution of Louisiana, declaring emancipation for the whole State, practically applies the Proclamation to the part previously excepted. It does not adopt apprenticeship for freed-people; and it is silent, as it could not well be otherwise, about the admission of members to Congress., So that, as it applies to Louisiana, every member of the Cabinet fully approved the plan. The Message went to Congress, and I received many commendations of the plan, written and verbal; and not a single objection to it, from any professed emancipationist, came to my knowledge until after the news reached Washington that the people of Louisiana had begun to move in accordance with it. From July 1862, I had corresponded with different persons, supposed to be interested, seeking a reconstruction of a State government for Louisiana. 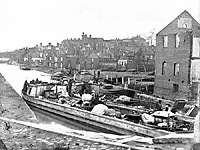 When the Message of 1863, with the plan before mentioned, reached New-Orleans, Gen. Banks wrote me that he was confident the people, with his military co-operation, would reconstruct, substantially on that plan. I wrote him, and some of them to try it; they tried it, and the result is known. Such only has been my agency in getting up the Louisiana government. As to sustaining it, my promise is out, as before stated. But, as bad promises are better broken than kept, I shall treat this as a bad promise, and break it, whenever I shall be convinced that keeping it is adverse to the public interest. But I have not yet been so convinced. We all agree that the seceded States, so called, are out of their proper practical relation with the Union; and that the sole object of the government, civil and military, in regard to those States, is to again get them into that proper practical relation. I believe it is not only possible, but in fact, easier, to do this, without deciding, or even considering, whether these states have even been out of the Union, that with it. Finding themselves safely at home, it would be utterly immaterial whether they had ever been abroad. Let us all join in doing the acts necessary to restoring the proper practical relations between these states and the Union; and each forever after, innocently indulge his own opinion whether, in doing the acts, he brought the States from without, into the Union, or only gave them proper assistance, they never having been out of it. Some twelve thousand voters in the heretofore slave-state of Louisiana have sworn allegiance to the Union, assumed to be the rightful political power of the State, held elections, organized a State government, adopted a free-state constitution, giving the benefit of public schools equally to black and white, and empowering the Legislature to confer the elective franchise upon the colored man. Their Legislature has already voted to ratify the constitutional amendment recently passed by Congress, abolishing slavery throughout the nation. These twelve thousand persons are thus fully committed to the Union, and to perpetual freedom in the state – committed to the very things, and nearly all the things the nation wants – and they ask the nations recognition, and it’s assistance to make good their committal. Now, if we reject, and spurn them, we do our utmost to disorganize and disperse them. We in effect say to the white men “You are worthless, or worse – we will neither help you, nor be helped by you.” To the blacks we say “This cup of liberty which these, your old masters, hold to your lips, we will dash from you, and leave you to the chances of gathering the spilled and scattered contents in some vague and undefined when, where, and how.” If this course, discouraging and paralyzing both white and black, has any tendency to bring Louisiana into proper practical relations with the Union, I have so far, been unable to perceive it. If, on the contrary, we recognize, and sustain the new government of Louisiana the converse of all this is made true. We encourage the hearts, and nerve the arms of the twelve thousand to adhere to their work, and argue for it, and proselyte for it, and fight for it, and feed it, and grow it, and ripen it to a complete success. The colored man too, in seeing all united for him, is inspired with vigilance, and energy, and daring, to the same end. Grant that he desires the elective franchise, will he not attain it sooner by saving the already advanced steps toward it, than by running backward over them? Concede that the new government of Louisiana is only to what it should be as the egg is to the fowl, we shall sooner have the fowl by hatching the egg than by smashing it? Again, if we reject Louisiana, we also reject one vote in favor of the proposed amendment to the national constitution. To meet this proposition, it has been argued that no more than three fourths of those States which have not attempted secession are necessary to validly ratify the amendment. I do not commit myself against this, further than to say that such a ratification would be questionable, and sure to be persistently questioned; while a ratification by three fourths of all the States would be unquestioned and unquestionable. Moorfield Storey, Charles Sumner, p. 218-219. Roy P. Basler, editor, The Collected Works of Abraham Lincoln, Volume VII, p. 53-56 (December 8, 1863). Richard N. Current, Speaking of Abraham Lincoln, p. 164. Don E. Fehrenbacher, Lincoln in Text and Context, p. 156. Philip S. Paludan, The Presidency of Abraham Lincoln, p. 245. Moorfield Storey, Charles Sumner, p. 258-259. Hans L. Trefousse, Benjamin Franklin Wade, p. 220. Don C. Seitz, Lincoln the Politician, p. 404. Benjamin P. Thomas, Abraham Lincoln, p. 439. Allan Nevins, War for the Union: The Organized War to Victory, 1864-1865, p. 126. T. Harry Williams, Lincoln and the Radicals, p. 352-353. T. Harry Williams, Lincoln and the Radicals, p. 355. Philip S. Paludan, The Presidency of Abraham Lincoln, p. 264-265. Roy P. Basler, editor, The Collected Works of Abraham Lincoln, Volume VIII, p. 386-387 (April 5, 1865). Roy P. Basler, editor, The Collected Works of Abraham Lincoln, Volume VIII, p. 399-405 (April 11, 1865).